Though, convertible tablets are no longer highly admired in the market these days because of a number of other smaller and relatively more versatile devices, they still have their use and can be reckoned with especially in the educational segment. 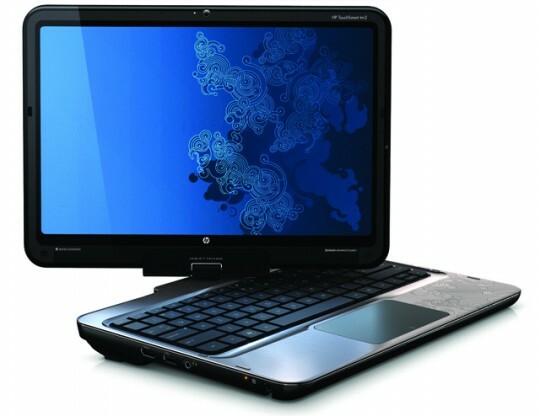 The newest tablet PC on the block in this category is the hp TouchSmart tablet PC. The processor of this new system is upgraded to the Intel core-I processor, deciding to rest the Intel core 2 duo which has been the flagship processor on these tablets before now. Also packed in the insides of this laptop is an ATI Mobility Radeon graphics component and a low power consumption principle to help increase battery life. Surprisingly, a new model number was not specified for this laptop, as has been the practice with all of hp’s laptops over the years. Also, the all new TouchSmart Mobile 2.0 app allows users to enjoy a new experience yet found on any laptop before now. Let us run through the outstanding features, upsides and downsides of this laptop. The capacitive touch screen of this tablet is unrivalled in the area of regular laptops. The Touch Smart technology and digitizer pen allows you to do away with typing via a regular keyboard. Documents can be quickly created by writing on the screen and accepting the words and sentences in real time or using the virtual keypad. Touch capable features include the Carousel and Magic Menu, ability to enjoy books and games including the use of fingers for flipping pages on the comical book e-reader. Another top advantage with this feature is the consolidation and integration of the multiple programs. The physical outlook of this system is another thing to marvel about. The top of the laptop comes etched in multiple aluminium colors with alloy based magnesium serving as the base for this tablet. This coupled with the ability to twist completely to 180 degrees makes it a really beautiful device. Finger print access, multiple HDMI ports and top notch speakers from Altec Lansing complete the roll call of features on this tablet. However, the major down side on this laptop is the poor resolution of the screen which feels like it is from previous generations. If you compare the screen resolution of this laptop to other systems that are less advanced, you would understand what we are talking about here. Its screen resolution is just 1,200×800 pixels when compared to others sporting 1,366×768 pixels. Based on every thing we have looked at above, we do not feel there are any features on this laptop to make it a must have. Though, if you want to stick with a laptop, the tm2 would do you great good in terms of mobility and size.